So there it is.... my NewFo # 6 ... check out Cat Patches HERE to see all of the other NewFo's ! The first block has been posted by Quilting Gallery so I hope to start sewing tomorrow. I need to oil and grease the machine first - this is so important when using these old machines, they lap up the oil and every now and then they need grease too. 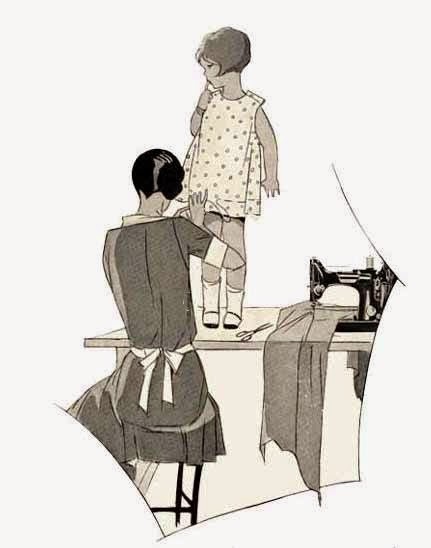 My machine sews like a dream so she is worth looking after properly. YES... IT IS A BIG BAG! AS A BIG TOTE OR OVERNIGHT BAG, EVERYTHING IS STILL SAFE AND SOUND! I just LOVE this bag! The pattern is very well written and easy to follow. There is a lot of prep work, cutting, interfacing etc but well worth it to produce a well finished and sturdy bag. My bag has really been put to the test lately. I took it on a "shop hop" and filled it to capacity with fabric. I then used it as a weekender and then last week I used it as a suitcase for my week up in the country with my Niece (looking after school children on their school holidays). Although stuffed to overflowing, the bag took it all! I've also been sewing Infinity Scarves but still no photo! I am making them in cotton voile and they are so soft and warm. What a fantastic bag, Helen! One can never have too many bags, can one!!!??? Lovely fabrics for the new project! And the bag is so great! 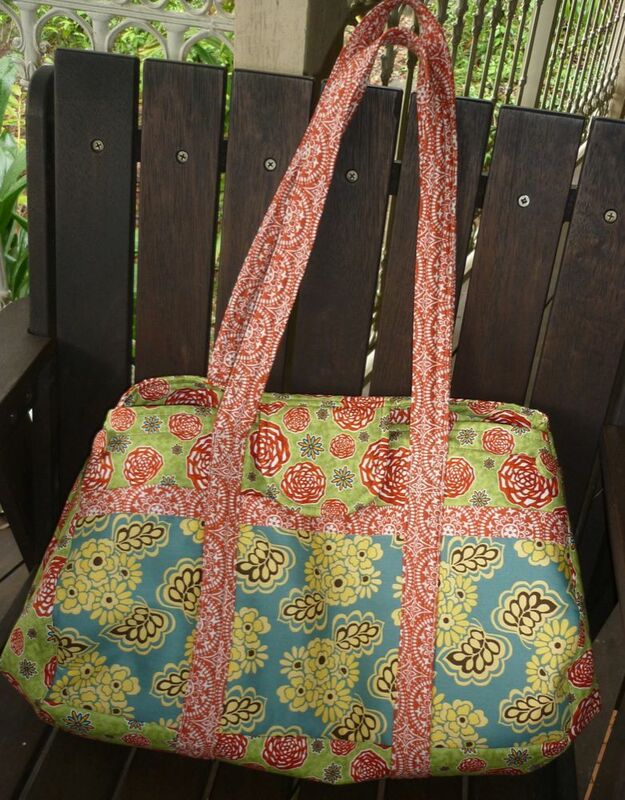 Beautiful bag, nice and roomy too. Enjoy your new project. It all looks good, Helen. 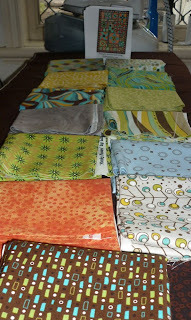 Great fabrics for the QAL! And what a super looking bag. The bag looks like just what every woman needs. Anxious to see how the new project turns out. What a neat bag! And love the fabrics for your sew-along. As you can tell, I finally figured out how to go to your blog. Google doesn't make it easy, but I'm here now - phew! 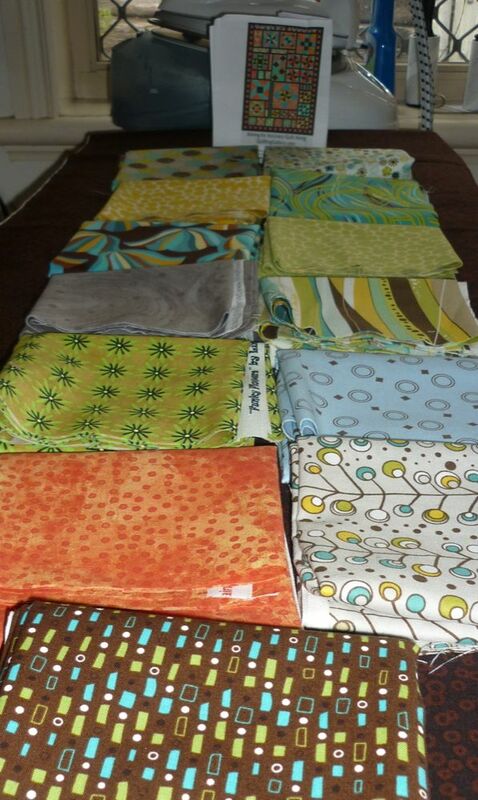 Love the fabrics you chose! And you're right, that is a great bag!